Cerameta is a first of its kind LVT & LVP flooring. As one of the toughest floors on the market right now, it can take virtually any type of wear and year you can throw at it. Cerameta LVT & LVP is covered by a Lifetime Waterproof Warranty, a Lifetime Residential Crack and Chip Warranty, a Lifetime Residential Wear Warranty and an 8 Year Moderate Commercial Warranty. 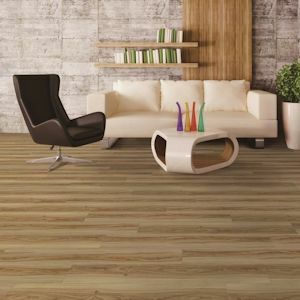 Above all, Cerameta LVT & LVP is very affordable and comes in both wood plank visuals and tile visuals. With a myriad of colors available in both visual types, you're sure to find the perfect option for your busy life and home. 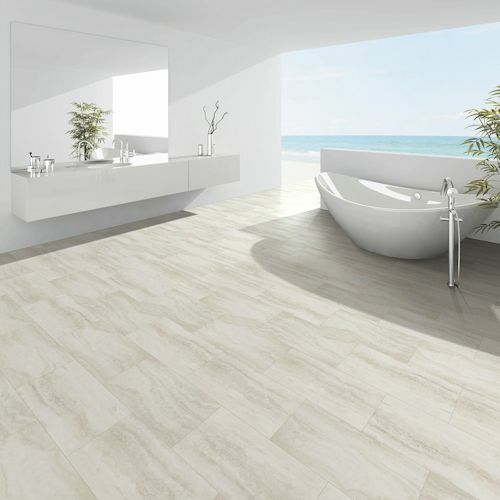 Cerameta plank or tile consists of multiple layers of different materials. Each layer --- from the 10 mil ceramic infused top layer to the limestone and resin base layers --- is meticulously created with the purpose of the final LVT product being durable, beautiful and stable. Total thickness of Cerameta LVT & LVP is 3.2mm. It can be installed in any room of the home (not applicable in sunrooms) and at any level. 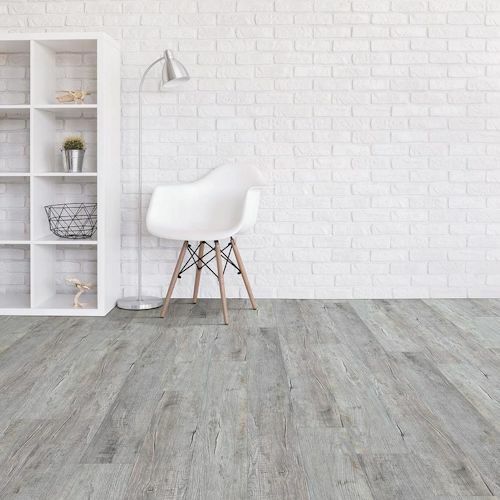 The Unilin click lock technology present on each plank or tile make Cerameta a breeze to install. Coremax, a little thicker than the Cerameta at 6mm, offers a Lifetime Residential Warranty and a 10 Year Commercial Warranty. It's Phthalate free and is not affected by spills or moisture. Cerameta LVT & LVP is approved for installation over water based radiant heating systems (not electric). Make sure to consult the Cerameta installation instructions prior to your purchase to make sure Cerameta will work for your application. StoneCast is one of the toughest luxury vinyl products out there. Easy to float with the Unilin Click System - save some money with a DIY installation - and waterproof. Take a look at the Incredible Collection for wood looks and the Monumental Collection for tile looks. Durable, easy to install and perfect for any room of your home. Cerameta offers a Quiet Forest Collection with wood plank visuals as well as an Earthstone Collection with tile visuals. These vinyl floors feature a 3.2mm total thickness and are easy to float right over existing hard surfaces with click lock technology. Coremax is a great vinyl option for any room in your home. It's super easy to install, with the Valinge click lock system, and outperforms other flooring options like hardwood or laminate when it comes to exposure to water and/or moisture. Coremax won't swell when exposed to water, so it's great for bathrooms or laundry rooms. Both wood looks and tile looks available.